A collection of Life's moments: Share your load with Ariel ! Share your load with Ariel ! Isn't it surprising that in the 21st century, what women these days are achieving. We should celebrate being women and having the opportunities to do things that our mothers and grandmothers were not allowed to do. They were expected to stay at home and do the cooking and the cleaning. But sadly that has just been carried through with the added work of running the family too. These days women are running hand in hand if not more than men in every walks of life. But sadly they are still solely assigned the household responsibilities than men of the family. When it comes to housework, labor is still shared unevenly. How many times have you heard of men cleaning the bathroom, or doing the dishes. Now when such distribution of labor is done before children they would also pick the same things that their parents do and this will never change. Men should realize that they also have equal responsibility in the household chores just like women. So instead of just watching TV or surfing the internet they can help their women with the laundry. 1) At a high level, a reason why a lot of men don’t want to clean is obvious: it’s not fun. The rewards of the other two traditionally female household tasks—childcare and cooking—are palpable. Your kid’s smile, a delicious meal. But not so with cleaning. So try to make the activity fun. 2) Women need to let go of feeling guilty. They need to realize that men also need to share the household load with them and must let go of feeling guilty of seeing their men wash the dishes or do the laundry. 3) Try to have a healthy conversation with the men on how much they would like if he would join them in sharing the household work. Initially, they may not join you but you need to create an urgency and train them to do the work. Doing them repeatedly would help them change their mindset and help you in the long run. 4) Ladies - let go of the perfection. When some of the few men who come on their own to help the ladies, try to cooperate with them and do not set high expectations and expect them to be a perfectionist. Try to see the good thing that you are delegating the work and getting an additional hand. 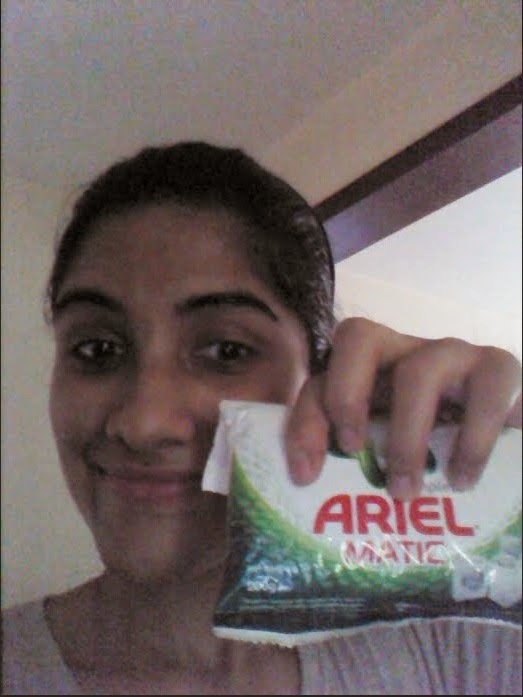 Ariel being the leading detergent brand asks men to take the #WashBucketChallenge and helps in cleaning clothes of the family. With Ariel's one-wash stain removal washing clothes is easy and fun. Like wise the actor Kunal Khemu also took the #WashBucketChallenge for Soha Ali Khan Pataudi. So If all these amazing man come forward to #ShareTheLoad ! Its high time for you men to take the #WashBucketChallenge. Redefining my smartphone experience !